Water leaks are an unfortunate reality for many homeowners. While the ones you can see can be a headache, the leaks you cannot see can end up costing you a lot of money and creating havoc in your home. 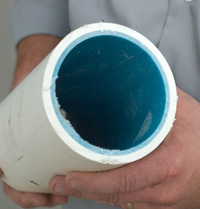 That’s why a growing number of homeowners that need water leak repair opt for epoxy pipe lining. Being able to stop leaks by simply using epoxy is fast, easy, effective and does not require digging holes all over your property to locate and stop leaks. The concept is called trenchless plumbing and it is worth looking into. When the average homeowner realizes they have a leak, the first thing most of them do is try to find and fix it themselves. If the is leak found underground, then it’s time to call in a licensed plumber. Locating underground sewer and water leaks can present a real challenge even for experienced plumbers. It commonly requires excavating the property to locate the leak, digging up the pipes, and either repairing or replacing the damaged sections. That calls for heavy machinery, lots of holes and trenches, and mud everywhere. It can make your property look like a disaster area. 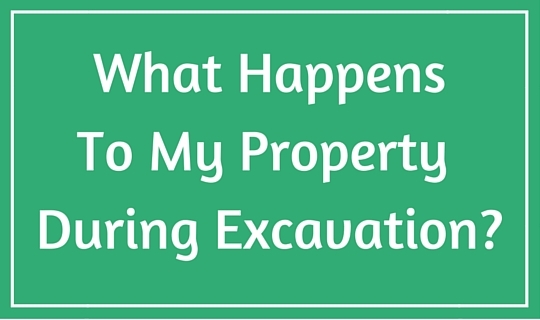 One of the things that make excavating on your property hard to deal with is the aftermath. Long after the leak is found and the pipe is repaired or replaced, your property will bear the scars and mud puddles of the excavation. That means people could be tracking mud into your home for weeks after the job is done. Some homeowners end up paying for expensive new landscaping to cover up the damage caused by the excavation. That can leave homeowners broke, angry, and frustrated. Opting for trenchless sewer leak repair provides an entirely different experience. Taking care of your leaks using epoxy pipe lining is a fast, simple, and affordable way to stop the problem. The process is simple. A trenchless plumber will come to your home, do a thorough inspection of your grounds, and locate the leak. If roving roots or other obstacles causes the leak, they will be removed. The epoxy and lining will then be inserted into the pipe and will bind itself to the pipe. This stops the leak and allows the water to flow through the repaired pipe uninterrupted. No fuss, no mess, and no damage to your landscaping or muddy footprints in your house. Trenchless pipe lining can be used for water and sewer pipe leaks in foundation slabs or anywhere in your house or yard. Some wise homeowners don’t wait for a leak to develop to have a trenchless plumber use epoxy to line their pipes. Many people with older homes take a proactive approach. Whether they have lived in the home for many years or recently bought an older home, they call in a trenchless plumber to line their pipes. This can prevent untimely plumbing problems and leave the pipes flowing freely for 20 years or more. This eliminates the need for excavation entirely. Many trenchless plumbing jobs can be completed in a single day. The technicians identify the source of the leak, line the pipe using epoxy, and the water leak repair is complete. This process is revolutionizing the plumbing industry and eliminating the need for costly, time consuming, messy excavations. 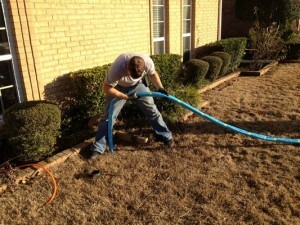 If you need sewer leak repair in Dallas, Austin, San Antonio, and Fort Worth area contact us at Accurate Leak and Line. Don’t deal with the headaches, hassles, and damage that can happen during excavation to find and fix the leak.